It’s not a secret that, at this point, we have more health problems than means to solve them. At Ascent Adaptation, we are pioneers in alternative medicine, and we bring you a ground-breaking technology that might change your life – Red Light Therapy. Depending on the severity of the injury, the healing process can be swift and painless, or long and sinuous. In many situations, the victim’s condition will require surgical interventions. We believe in a different form of treatment, one that delivers fast and lasting benefits, with minimal side-effects. Our LightStim LED Bed does just that, by stimulating the body’s regenerative properties and speeding the natural healing process. No chemicals involved, while the procedure is non-invasive and painless. It is an innovative technology that works on Photobiomodulation Therapy or PBMT. The process behind it relies on activating our chromophores, cellular components which absorb specific light patterns. Our LightStim operates based on the revolutionary Multiwave technology, which relies on emitting beams of red and infrared light. Our chromophores absorb the light and convert it to adenosine triphosphate (ATP), triggering the body’s healing mechanisms shortly. This process will both speed your recovery from injuries, and during the post-surgery period, when you need all the help, you can get. Red Light therapy is amazingly effective at providing your body with the fuel it needs to operate at high velocity. In a sense, it is a technology that relies on a form of biological enhancement. Thanks to the chromophores’ ability to absorb and make use of the multiple wavelengths of red light, your biological system will experience a massive boost. Improved blood circulation – As a result, your wounds will heal faster, as PBMT aids the body in repairing damaged tissue, reduce swelling and bruising, and promote cellular regeneration. Enhanced physical capabilities – LightStim supports the production of ATP, which functions as biological fuel for our body. This will greatly boost your energy levels, as well as decreasing muscle fatigue, and speeding the post-exercise recovery. Advanced detoxification – Our light therapy supports cells in eliminating free radicals and flushing out toxins and cellular residues. Skin protection – By stimulating the production of collagen, LightStim reduces wrinkles and protects the skin from UV radiation. It will also improve your skin’s health and flexibility along the way. Multiple studies have shown no side-effects as a result of PBMT sessions. Red Light Therapy is safe, and it delivers consistent benefits over long timeframes. Your options right now are limited. It’s clear that, in all cases, a more active lifestyle comes with certain unavoidable risks. Whether we’re talking about sports-related injuries and accidents, or the natural physical wear linked to prolonged physical activities, your hands are full. Our technology will give you a better alternative to conventional clinical treatments, with twice the effect and none of the fallout. 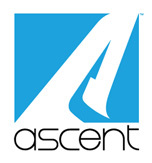 At Ascent Adaptation, we hold innovation and excellence as the core principles that propel us further in our quest for perfection.